The Sports Authority of Thailand (SAT) were in Daphne as part of its fifth annual week long tour led by the United States Sports Academy to get a firsthand look at American sports. In addition, 13 Thailand students traveling with the group received their Academy diplomas in sports management and sports coaching on campus Friday, Oct. 7. 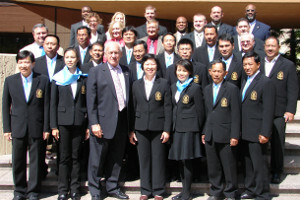 Thailand sports officials and students took a weeklong tour of America to help the tropical country prepare to participate in the Winter Olympics for the first time in 2014. The United States Sports Academy led the Sports Authority of Thailand (SAT) for the fifth consecutive year. It helped group get an up close look at winter Olympic facilities in Salt Lake City and Colorado Springs and the hockey operations of the Pensacola Ice Flyers who play in the Southern Professional Hockey League. Despite having only two recreational ice rinks in the entire country that are both located in Bangkok, Jamjun “Jam” Jiemjaisawangrurg, who led the SAT study tour, says Thailand is determined to enter an athlete in every winter sport. Already, about 40 Thailand hockey players and figure skaters have begun training. Through an interpreter Jiemjaisawangrurg explains it’s not an easy undertaking in a hot climate where kick boxing and soccer reign as the most popular sports.  Both in Salt Lake City and Colorado Springs, SAT received invitations from American officials to send Thailand athletes to train at their facilities. Currently, the country’s hockey players and ice skaters must share the Bangkok ice rinks with the public. U.S. speed skating men’s coach Derek Parra (left), the 2002 Olympic gold medalist and Olympic record holder in the1500 meters and silver medalist and American record holder in the 5000 meters, talks about speed skating with Sports Authority of Thailand members in Salt Lake City, Utah. In Salt Lake City where the United States hosted the 2002 Winter Olympics, Thailand officials received an in-depth look at the ice oval and spoke with U.S.Olympic speed skaters Shani Davis and Derrick Parra. Phikulkaew “P.K.” Chanpeng, the Sports Authority of Thailand sports promotion officer, says such a visit is very educational and helpful. She was impressed with how smooth the ice was after watching the process Salt Lake City does to establish its ice oval. In addition, the SAT group got a firsthand look at the bobsledding course (Watch out Jamaica? ), stood atop the steep ski jump ramp and rode a Zamboni. The study tour also included attending a San Francisco Giants baseball game, examining Stanford University and Air Force Academy athletic facilities and operations, and watching Daphne High School football, volleyball and soccer sporting events. At the conclusion of the tour, 13 Thailand students traveling with the group received their Academy diplomas in sports management and sports coaching on the Daphne, Ala., campus Friday, Oct. 7. Academy President and CEO Dr. Thomas P. Rosandich awarded the diplomas and talked about the university’s relationship with the country that originated more than 50 years ago.